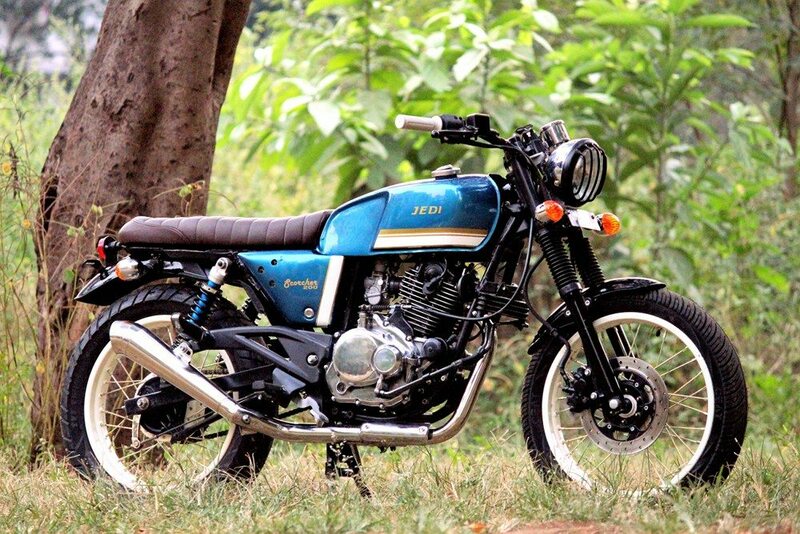 Meet Scorcher 200 (Modified Pulsar 200): Bajaj Pulsar 200 DTS-i was once a star product in the company lineup. It was compact, carried impressive design and was much more powerful than anything priced closer in the segment. It carried the same design as Pulsar 180 while additional use of a better exhaust design (shared with 220F) gave it the exclusive place in automotive industry. 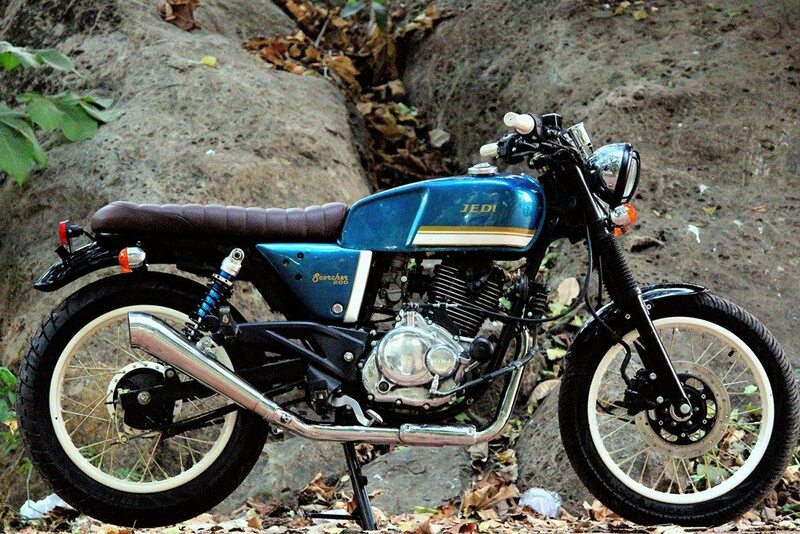 Have you ever wondered what it would have looked like if Bajaj planned a scrambler out of Pulsar 200? 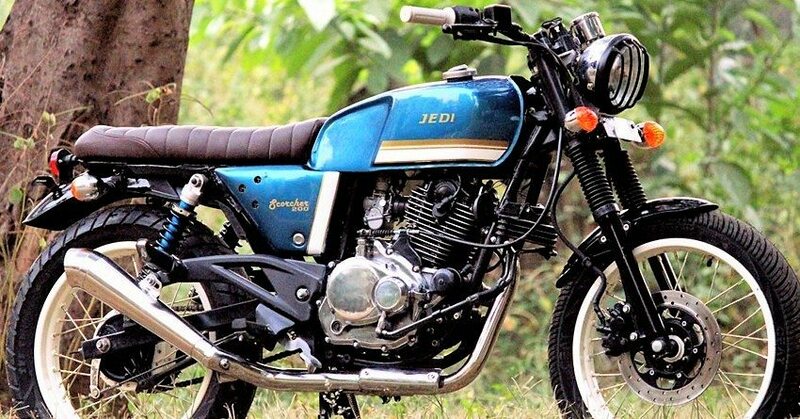 Here is one closest example from Jedi Customs that shows the elegance of a scrambler with the heart of a powerful performer. 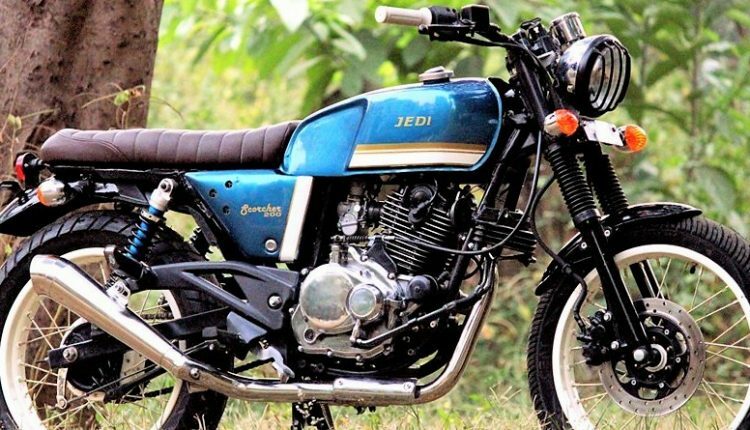 Finished in Blue and carrying the retro stripe design on its fuel tank, Scorcher 200 from JEDI Customs is minimal in terms of panels but still looks exclusive with its carved fuel tank. The side panel is even minimal and carries the same Blue theme with single White stripe. The blue flows smoothly into the rear suspension while front suspension stays black with covers. White stays alive throughout the theme as base of both the rims are painted white for maximum contrast. Chrome comes out to be the third big thing through its exclusive exhaust design and lower section of the engine. 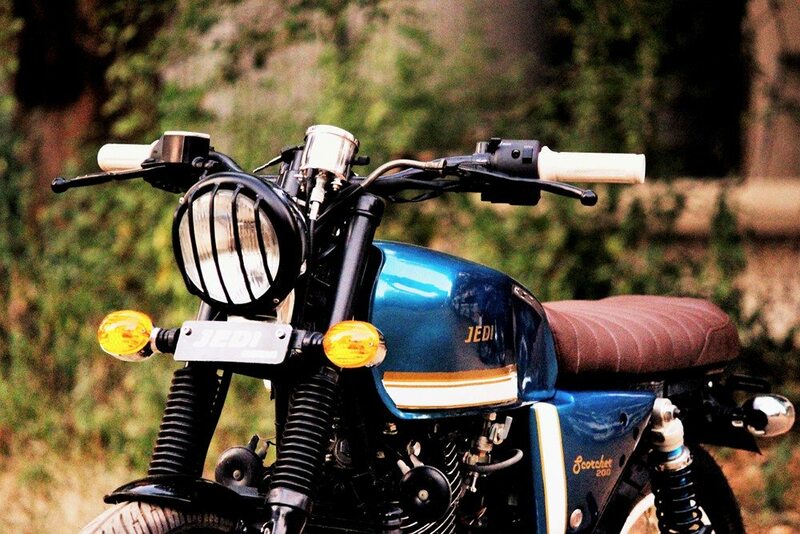 Apart from these, one can spot a beautifully ribbed seat that houses two riders with much ease. 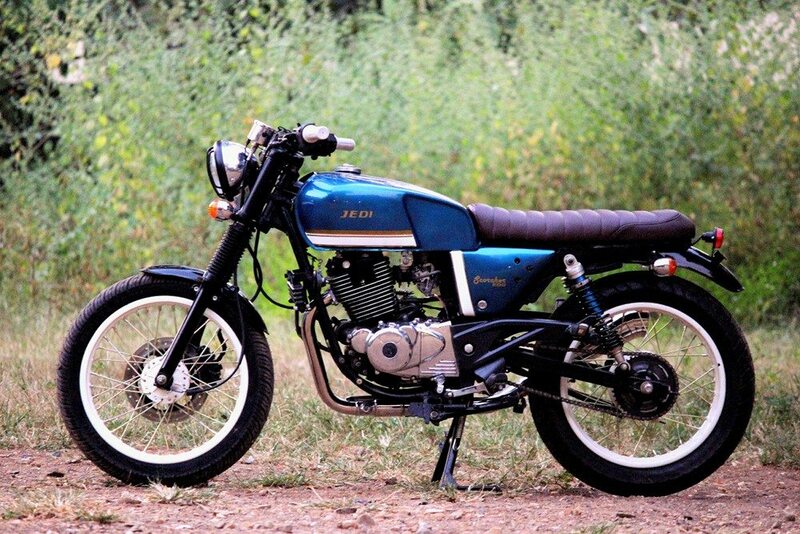 The tyres are all new and compliment the look of Scorcher 200 is all terms. The front headlight gets replaced with chrome round headlight, guarded by black protector and carrying orange indicators for the retro theme. Grips on the handlebar are painted white while front and rear fender gets opposite finish with black for the front and chrome for the rear. Stock Bajaj Pulsar 200 is powered by a 198.8cc, single cylinder engine producing 18.01 BHP and 17.68 Nm of torque.